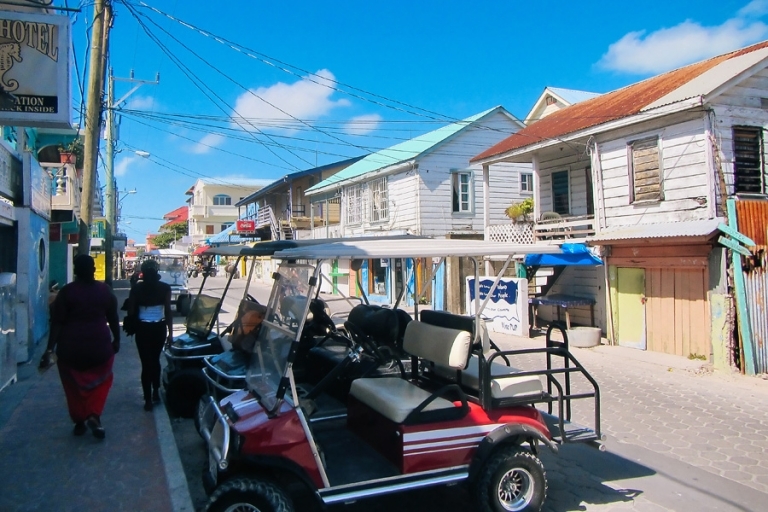 One of my takeaways from Belize is something I suspected I’d be able to confirm on this trip: I prefer to roam around on my own schedule, and I crave control over my local transportation (e.g., having a rental car if things aren’t within walking distance). I still definitely love staying in a more remote location or at least away from the main crowds, but I enjoy randomly going into town whenever we feel like it, trying lots of new restaurants, and getting lost and exploring on our own. 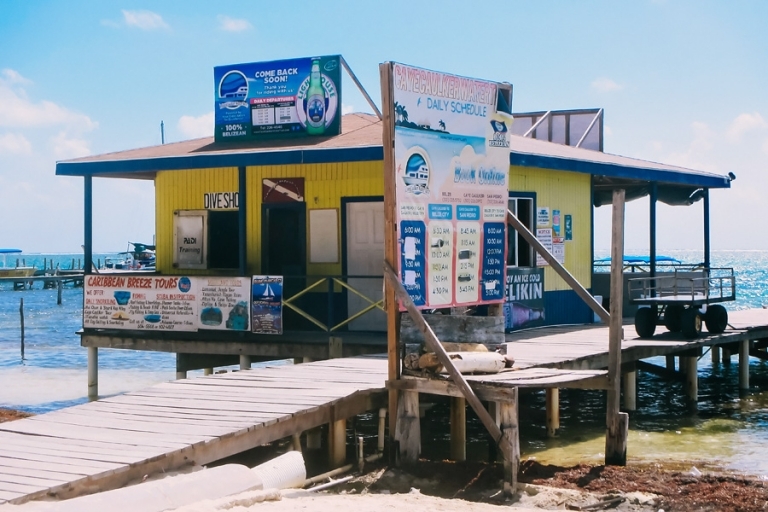 Since we stayed on Ambergris Caye at a villa situated several miles north of San Pedro beyond the paved roads, our main option for getting around was by boat. It was actually such a fun change and we appreciated a break from navigating, but we didn’t spend as much time looking around the town as we usually do since we couldn’t hop in a car and go. Ernesto graciously provided us with plenty of opportunities to go anywhere we’d like though. We just chose to spend most of our time in and on the water, thus we didn’t get to know San Pedro on an intimate level. The trade-off was that in staying at the villa we chose, we had our own personal guide and ended up with some awesomely private tours of touristy locations that made us feel completely spoiled, so I’m not complaining one tiny bit. A few of our meals were spent at restaurants walkable from the house rather than in the heart of town. We frequented the bar at the resort next door, X’Tan Ha, a couple times for drinks. Who can resist a grass-thatched hut right on the water with hilarious warnings on the menu? 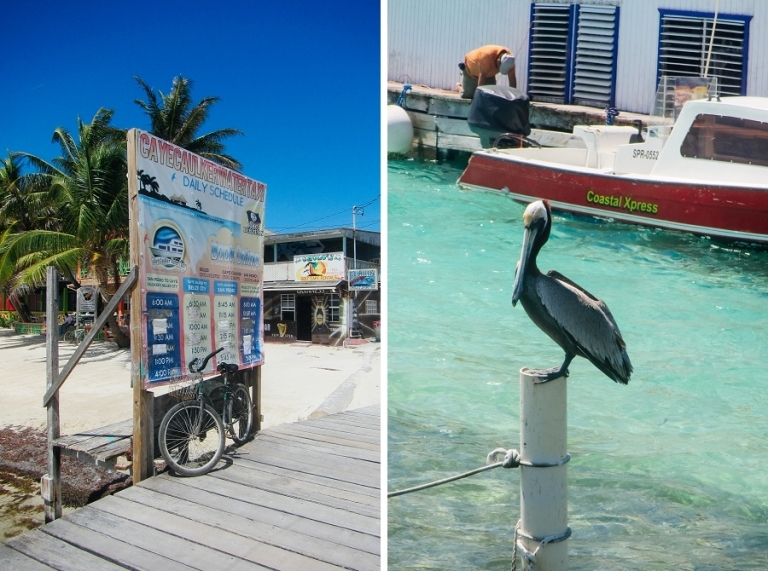 And one final thought – as much as we had fun on Ambergris Caye, I regret not trying harder to get to the little island south of us called Caye Caulker. We docked there briefly on the way to Belize City when we toured Lamanai, but we only had a glimpse of what I hear is a very charming, laid-back isle. 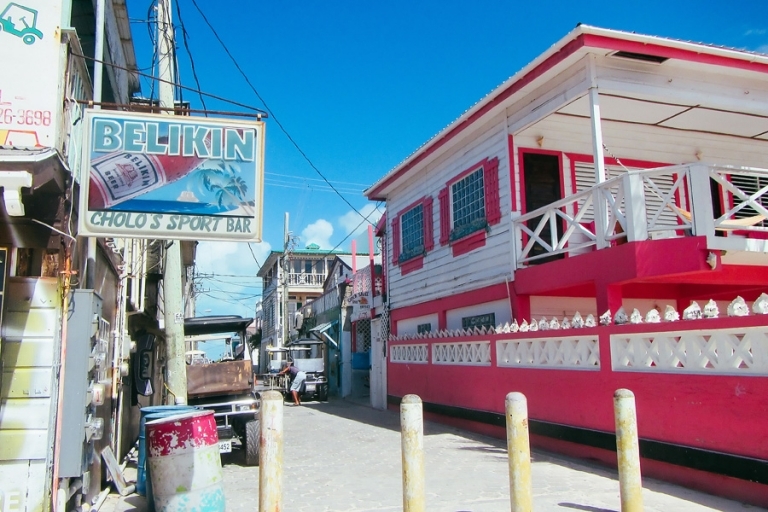 It was an option to visit Caye Caulker via Ernesto’s trip list, but we simply ran out of time. We’ll just have to put it on our must-do list for next time. I’d like to find out what this pee sign is about (or maybe not).